We believe every human being's connection to spirit is unique; a sacred aspect that deserves to be nurtured in each individual in their own way. We provide a sacred space where, as a community, we can support each other in our spiritual explorations. We've evolved over the years, but we are still an eclectic group dedicated to exploring our spirituality. We are a growing community setting out to create a new world: a world where all people are free to choose their own spiritual path. We believe that the development of the spiritual dimension of humanity is the next step in our evolution and we are committed to supporting that evolution. We respect all spiritual beliefs and practices, and value the diversity available in our community. We believe every human being's connection to spirit is unique; a sacred aspect that deserves to be nurtured in each individual in their own way. We provide a sacred space where, as a community, we can support each other in our spiritual explorations. This link will take you to the short story of how our new logo came into being. Historically, there were three main reasons why SFC evolved. One was the impressive, established and relevant role model of Spiritual Frontiers Fellowship International (SFFI), that began in the USA during the 1950s. SFFI was managed by an Executive Committee, was organized into several American Regional Chapters, and had a growing membership interested in the overall spiritual path. Second was the impact on this writer of his spontaneous awakening of the kundalini energy (spiritual transformation) experience from 1968 to 1989. Third was the tremendous team effort of many other conscientious individuals, also on their own spiritual journey, who generously volunteered their services, time, and support to develop and promote SFC locally and beyond. Given the preceding, in 1990, Canada's only Regional SFFI Chapter was created in the National Capital Region. 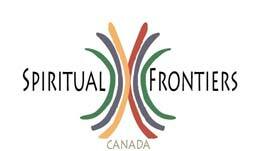 By 1993, the said Chapter experienced tremendous membership growth, became an independent non-profit organization, and was renamed as Spiritual Frontiers Canada. SFC's basic twofold goal was to provide individuals and the community at large with a positive, friendly, open-minded and independent educational forum, and to broaden their awareness and understanding of life-related issues on the frontiers of and between science and spirituality in our fast changing world. During the 1990s, SFC attracted over 10,000 attendees to it's monthly program of public talks, panel discussions and workshops, and to it's ad hoc socials. Since the start of the second millenium in 2000, the interest in and attendance at SFC activities has continued to be a much-appreciated personal and community service to spiritual seekers, inspired sages and cynical skeptics alike.